How do I qualify for a Real Estate Loan while being self employed? As a business owner you hire the right people to solve problems freeing up your time to focus on what you do best. I am a financial problem solver. Business owners seek loans for many purposes – to buy a home, to buy a vacation home, to invest in additional real estate, and for working capital. And although a business owner may generate ample income, he/she may be in a position to maximize tax deductions to minimize taxable income. This financial strategy can lead to the appearance of insufficient income to be able to qualify for a loan based on standard qualifying guidelines. Before becoming a real estate loan expert, I spent 30+ years in progressively responsible financial management positions building and running finance and accounting functions for businesses generating from under $1,000,000 annually to businesses generating over $100,000,000 annually. This expertise enables me to quickly understand your business and personal financial structures in a way that those without this type of experience can. I specialize in offering loan programs that are an alternative solution to the typical Fannie Mae/Freddie Mac based loans. Do you maximize your tax deductions to minimize your taxable income? Excellent! I have several loan solutions that will fit your needs. 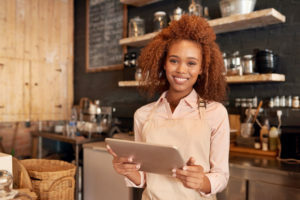 Do you need to contribute working capital to your business but don’t want the hassle and reporting requirements of an SBA loan? Perfect! I also offer Commercial Real Estate Loans that can solve that problem. Do you want to buy or refinance a commercial property? Great – I have both the experience and loan programs to help. If you would like to learn more about the different types of loan programs available to help you meet your financial goals, contact me for a no pressure conversation.